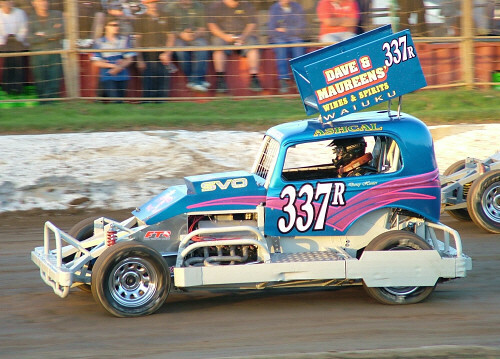 The Championships were decided by the usual three heat rotating grid format (something which I'd like to see tried for some UK championships) and this was eventually won by Darcy Hunter - pictured here. 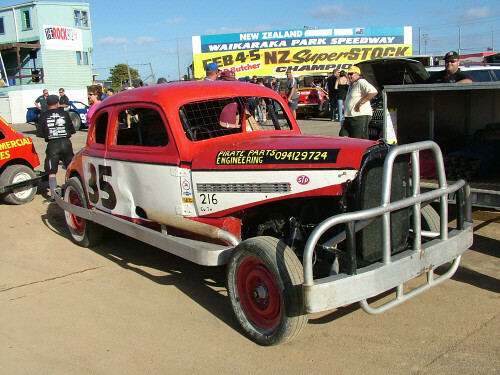 Also shown is a picture of Rod Dore's replica historic Stock Car. More pics and video clips from this meeting will follow soon but it was hugely enjoyable! 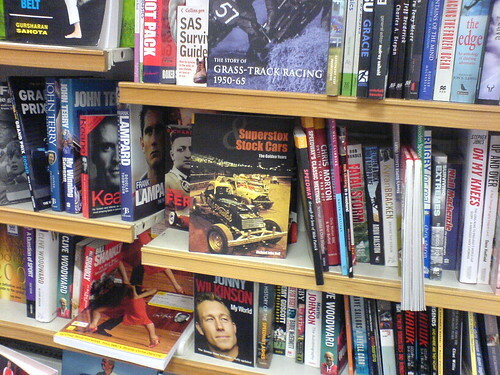 While most people come over here for the adventurous outdoor lifestyle such as bungee jumping and horrendously long walks us hardly souls come for the racing. 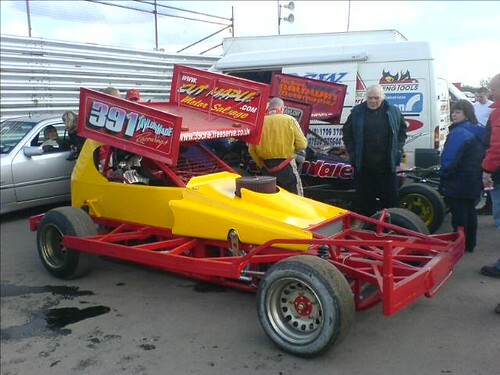 The reason for the timing of this trip was to pull in the two biggest meetings for Superstox. 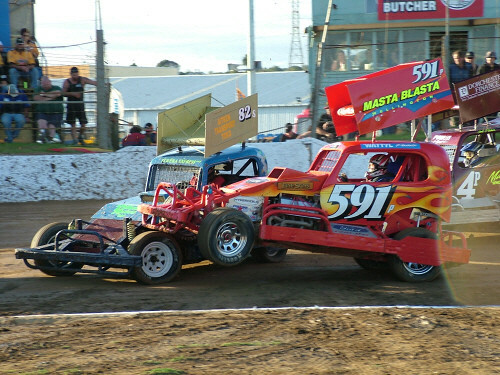 This w/e 4/5 Feb it was the NZ Championships, which can be compared in importance to the BrISCA F1 World Final. Next weekend its the Team Championships at Palmerston North which are comparable to nothing else in the universe let alone this planet! 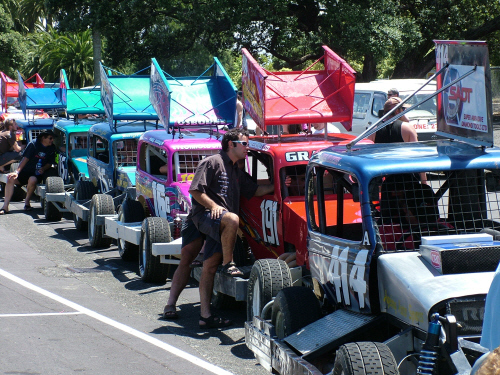 The first day of the two day meeting at Waikaraka Park in Auckland had two elements. 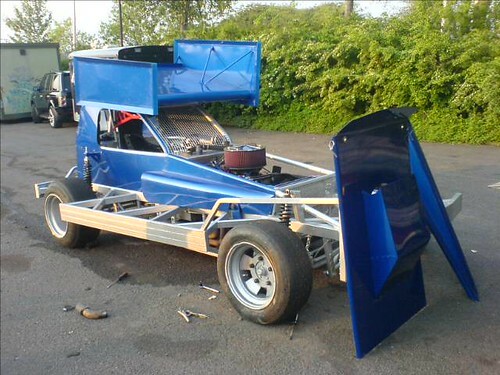 The first was an off-track scrutineering session at a nearby racecourse. This ran from about 1000 to 1400 and was excellent to see the cars at close quarters as well as make some new friends as well as catch up with some familiar ones. 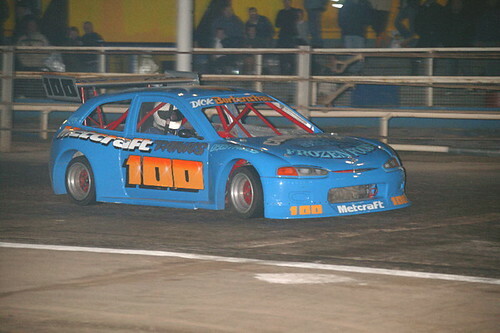 The evening meeting was for qualifying with three groups of around twenty cars each racing over three heats with the top eight qualifying for champonship the next day. 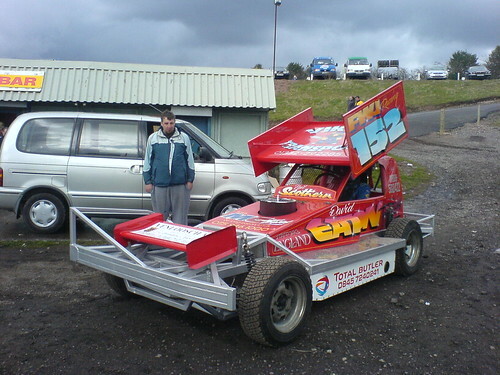 This was my first experience of the Superstox and I'm hooked. 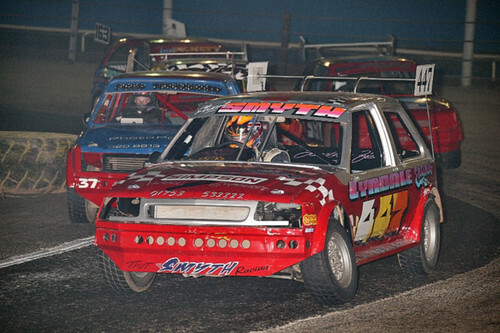 Its the hardest racing I have ever experienced bar none! 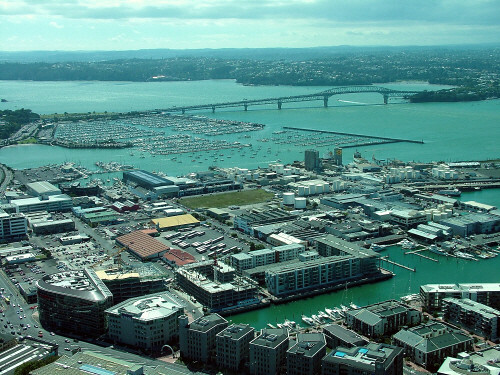 After travelling over two nights I finally arrived in Auckland. I was met at the airport by a familiar face whose identity shall remain nameless, for the time being at least! 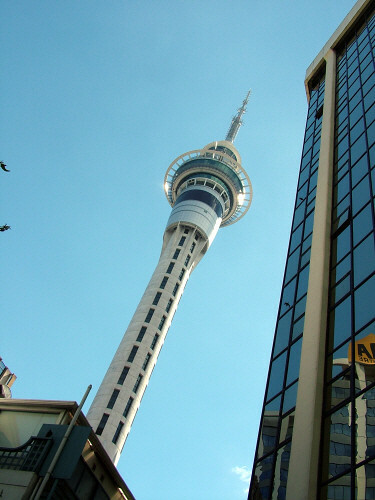 Anyway after settling at the hotel I was given a quick trip to Auckland City Centre where I was very keen to try out the Sky Tower which happens to be the tallest structure in the southern hemisphere and part of a super-casino complex.. The pictures show the tower, a fantastic view over Auckland and the glass floored lift which (I think) is the main reason why one well known F1 photographer kept his feet very firmly on the ground! Anyway this was a good start to the trip. It did feel strange doing this at the equivalent of about 3am in UK time!